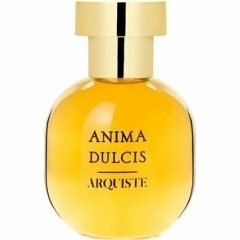 Anima Dulcis is a popular perfume by Arquiste for women and men and was released in 2012. The scent is spicy-gourmand. It is still in production. Sweet Soul... Wonderful name for a scent! Arquiste, the modern perfumer house in New York, wanted to catch historical places, moods, figures from Mexico, France or Russia. ANIMA DULCIS refers to Mexico City, 1695. Cloistressed cooked chocolate with spices, especially chili there, so it is actually a baroque recipe. Beautiful intention, but the result differs from the expectations, or connected to the object weirdly. The best point to begin the review of ANIMA DULCIS is, if I compare it to WAZAMBA. It is also opulent, and changes a lot. Immediately strengthens fruits after donning, just to turn in an obscene odor in a twinkle. Mixture of chili and cocoa merges to a cumin-smell. After the juicy first shock I expected a humid fragrance, but ingredients are rather dry. Therefore it gets separated from Wazamba at this stage, Wazamba stays in the jungle, Anima Dulcis comes to the city. What an overwhelming, cultured fragrance, a real trump ace on negotiations, powerful, elegant, masculine! Fits to the top 10 000, and even though body chemistry causes differences, ANIMA DULCIS is still a brutal perfume. If you have to do something, that you do not want, but can not avoid, and you have to collect bravery in your soul, of course you can support yourself with a fragrance like this. After a big battle, the perfume fades for a while, but the base shows a stronger finale, a noble, spicy, Christmas-like winter evening. I donned ANIMA DULCIS. As I experienced so far, donned perfumes are less spicy, so I am pretty sure, that you can expect from bottle with spray-top an even more spicy and masculine version. Where I live in Canada the mercury is just beginning it's lengthy descent into a realm where the enormous pines are blanketed with scintillating sheets of virginal white (and, less excitingly, where your wet hair freezes to the side of your head). As the process of seasonal decay takes flight I've found myself craving deep, encompassing warmth as if to extend the final, circumferential breath of summer's ambient embrace. Upon the first flourish I am encapsulated within an unctuous aural sphere of bitter dark chocolate, dusted with cinnamon and kissed with glistening dew drops of honey. As its metamorphosis unfolds upon the skin this potion releases vibrations of a mysterious flower, the essence of which I can't quite put my finger on. It's color is sprightly green, a masterful foil to a labyrinthine sequence of oscillating capsicum sizzle and encompassing cacao richness. As it dries I catch pulses of blackened patchouli and sticky, translucent candied oranges and a soft, resonant hum of vanilla. For all of this opulent, cascading baroqueness the composition is not at all suffocating. It wears with a chic, modern ease and comfortable aura. J'Adore. Opens with a truly delicious dark chocolate accord made up by cocoa, vanilla and cinnamon. The chilli infusion is detectable as a fresh-floral nuance which counterbalances the warm and sweet notes. One of the best gourmand fragrances I have tested so far, simple but never boring. Write the first Review for Anima Dulcis!